The album that made both fans and critics wonder: Was this the end of the journey? Two eventful years, three hit albums, The Doors had gone from cult-heroes to mega stars, conjuring magic from the basic, but unusual set-up of keyboards, guitar, drums and vocals. They didn’t even bother to hire a permanent bass player. “The Soft Parade” broadens the canvas by incorporating horns and strings. This mix changes the mood of their music, it appears less dangerous and a little out of focus. 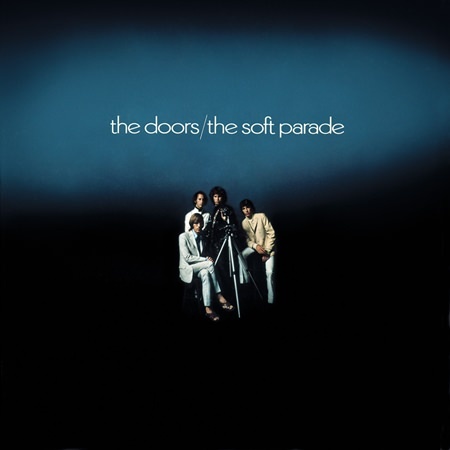 The songs are not credited The Doors-collective but rather Robbie Krieger or Jim Morrison. Krieger’s songs are, in The Doors-context, disappointingly ordinary, even if they do possess charm. They are slight and lack the expected nerve. “Touch Me” might have its moments, but it’s still a limping piece of lightweight dross. The first encounter with the album is both confusing and frustrating. Over time, however, you will find that this is the one The Doors-album that it’s impossible to nail down. It’s so different from anything they ever did before and after, and you are drawn towards it at regular intervals, preferably on hot summer days, and the mystery remains a mystery. It even plays damned good. And that is a mystery in itself.